No one wants a roof leak! If you’ve ever experienced one you know what I mean. One simple leak can create hundreds and even thousands of dollars in repairs to furniture, flooring, drywall, paint, etc. Not to mention the “hidden” leak which can feed mold and rot the sub-structure of your home. It’s always best to have your roof replaced BEFORE a leak starts. However, no one likes to waste money either, and if a roof has life left in it, it’s usually a good idea maximize that life and keep your roof for as long as possible. 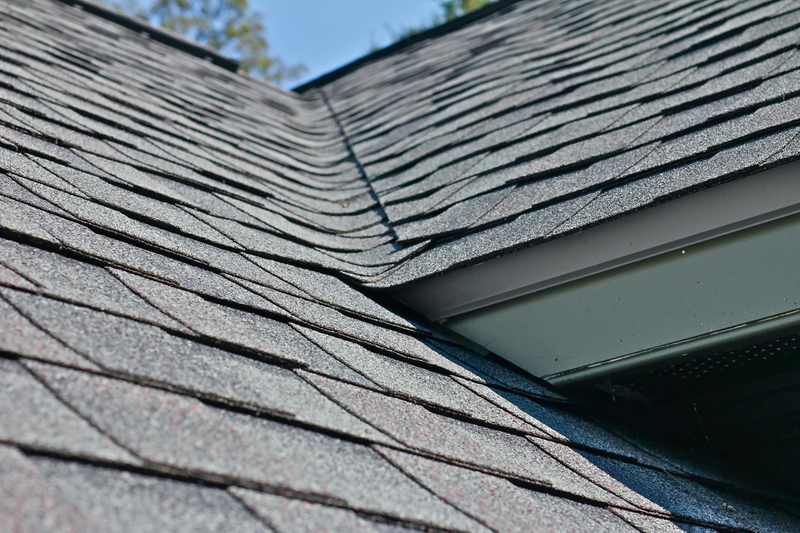 So how do you as a homeowner determine if it might be time to replace your shingled roof? Of course, the best way is to have a reputable and experienced roofer examine your roof. Most roofing companies (including Eby Exteriors) will do this free of charge. However, if you’d rather check it out on your own before making that call there are several things you can do and signs to look for to make the determination. Find out how old your roof is. If you’re not the original owner or if you didn’t have the roof replaced previously you can often find the age of the roof by looking through the paperwork from your real estate transaction and settlement. There may be a disclosure or an inspection report or some type of paperwork that indicates the age of the roof when the sale was made. If your roof is less than 25 years old there is a good chance that you still have some life left in it. If it’s older than that the odds go up considerably that you might be getting into the “danger zone” of experiencing a roof leak. Compare your roof to your neighbor’s roofs. If you live in a neighborhood where most of the houses were built in the same time period, take a look around. Have most of your neighbors replaced their roofs? If so then it’s likely that your roof is probably getting there too. Check your downspouts. One problem that aging roofs have is a significant loss of granules. These are the small stone particles that are adhered to the shingles that actually protect the shingles from the elements. When these begin to come off significantly it usually doesn’t take too long for the entire shingle to deteriorate. If at the base of your downspouts you find small piles of these granules it’s probably not a good sign for your roof. Check your lawn. If you find a few “tabs” or pieces of shingles in your lawn it probably means that your shingles are beginning to lose their seal. Typically this means that every time you have significant wind you’ll find more pieces … and it means that it’s time for a new roof. Occasionally these tabs or pieces are only from an isolated area of the roof and can be repaired. That’s where asking a reputable contractor to check it out becomes important. The honest ones will let you know if a repair is sufficient and won’t try to sell you a roof you don’t need. Do a visual inspection of your roof from the ground. (especially of the sides that get the most direct sunlight) If you look up at your roof and can see shingles standing up it’s typically not a good sign. Also, if you can see small edges and corners of shingles beginning to curl up it usually means that your shingles are starting to deteriorate and/or lose their seal. And certainly if you can see missing shingles and tabs you need to have that addressed. Typically the sections of any roof that wear out first are the sections that get the most direct sunlight so make sure you take a specific look at those sections. FROM THE ROOF ITSELF – This is not for everyone! If you’re able and willing to get onto your roof you can usually learn a lot about its condition if you know what to look for. However, because you only have to fall one time to seriously hurt yourself, we don’t recommend it. Many times you can view your roof more closely from a window over a porch or from a 2nd-floor balcony. Also, you can also set a ladder up and view your roof from the ladder which is safer than getting onto the roof itself but be very careful with that scenario as well. Look for hairline cracks in the shingles. Sometimes shingles look great from the ground but when you check them out more closely you can see hairline cracks in the shingles themselves. This means the shingles are starting to deteriorate and most likely should be replaced. Look for granule loss. If you didn’t see many granules at your downspouts you may now see them in your gutters. They sometimes pile up there. Also, just looking at your shingles more closely you may notice sections or patches where granules are missing. If you have lighter colored shingles you’ll notice that these patches are often darkly colored. If after evaluating your roof yourself you think you might need a new roof, don’t hesitate to contact a professional roofer. Remember, a leaky roof is a problem you want to stay ahead of! An honest roofing pro will tell you if it’s definitely time to replace your roof or you can wait. They may also be able to identify if there are some repairs that could be done to help you get a few more years of life out of your roof. For more information, call the experts at Eby Exteriors at (717) 733-9142 today!